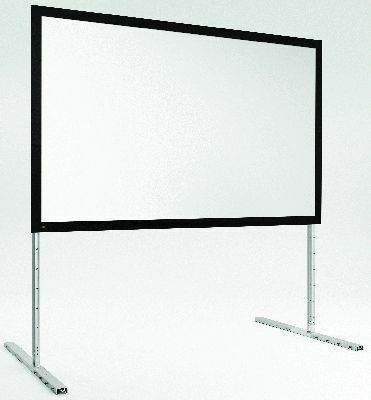 When A/V experts needed a portable projection screen in the past, they had three format choices: 4x3, 16x9, and 16x10. The formats weren’t interchangeable, and if they wanted a custom size, the cost was incredibly high – and wait time a month or more. Recognizing that frustration in his customers got Wayne Wagner, president and CEO of Wagner Media thinking. And, it got industry-leader Draper Inc. to listen. Based on Wayne’s concept, which he likens to a jigsaw puzzle, Draper created two new screens: the StageScreen® for large venues and the FocalPoint® for small to mid-size venues. 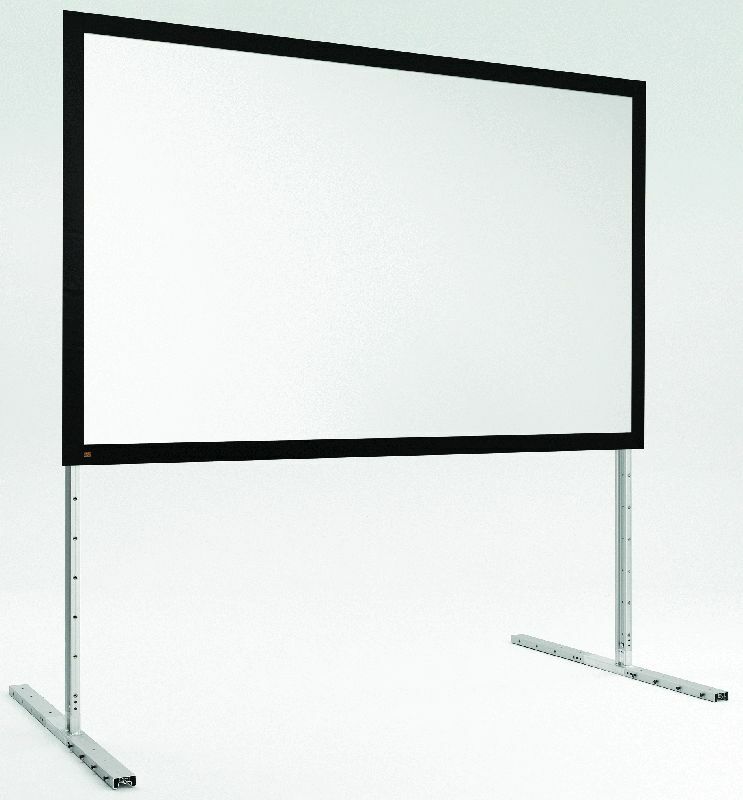 Instead of using a single-piece screen, these innovative portable screens are built with frame sections that fit together, allowing for a variety of screen sizes at a much more affordable price point. They’re also easier to transport and are much more durable. In addition to the new frame section design, the StageScreen and FocalPoint also incorporate Draper’s new DuraLoop bungee system. Whereas previous lace and grommet systems eventually would catch, the new bungee system solves this problem, enabling the screens to last much longer. The bungee system also allows for the slight screen shrinkage that happens over time. “Of course it feels good to know we’ve caused change to another item in the industry,” notes Wagner. “We’re quality based, so we want to see the industry grow quality.” He adds, “Draper’s FocalPoint is a higher-quality product than anything else on the market,” citing the all-black-backed front surface, straighter frames, and overall more durable construction. Wagner Media will display the hot-selling FocalPoint screen at the upcoming InfoComm show in Orlando, June 15-17. With more than 300 educational seminars, workshops and labs focusing on technology, trends and best practices in the industry, InfoComm is a great way to see the latest and best audio-visual equipment available. Wagner Media will be at booth 4158. One of the country’s largest wholesaler suppliers of digital image projectors and video screens, Wagner Media recently opened its regional hub in Orlando at 2100 Principal Row, Suite 402, is just 10 minutes from the Orlando Convention Center.